The shop next door where you used to collect the keys is no longer trading . 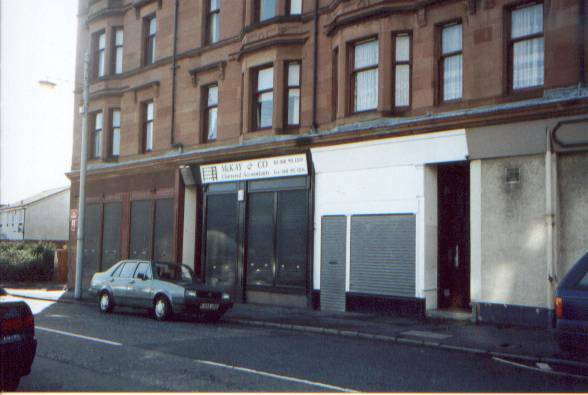 It used to make its money from the workers at theTurners Aspestos factory and when it closed so did the shop. 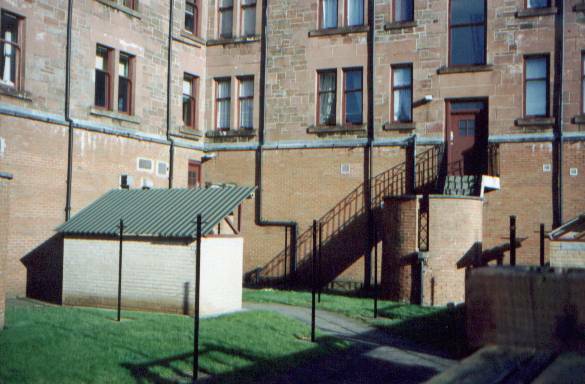 The site on which the factory stood is now occupied by the HCI private healthcare hospital. A bit ironic considering the amount of claims on the go in Clydebank from people suffering from Asbestosis. The buildings in Agamemnon street were owned by Craibs Whiskey who took a pepercorn rent for the rep . plans were drawn up to upgrade the premises by adding sleeping accomodation so the buiding could be used by touring companies along with a modernisation of the theatre site , but none of the visions of the future for the rep ever came to pass. The front portion of the Rep building is now occupied by small business premises . The rear of the building containing the Main Theatre auditorium and Lounge area is now totaly demolished . It was flooded and declared unsafe and had to be demolished. It is now a landscaped garden for the houses above . The outline of the old theatre building roof level can be seen in the new brick facing put in after the building was demolished.